For a limited time only receive free shipping, options vary based on basket total. 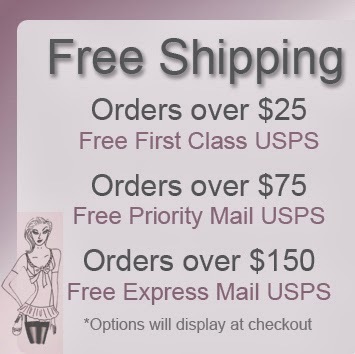 Check out these newly added items below- perfect to help you reach your free shipping goal! Our Camille thigh highs are made of a fine mesh tulle featuring a back seam. Top welt has a soft scallop detail as well as a satin ribbon tie. Thigh highs are a great new addition to our back seamed collection. Ultra sheer 15 denier thigh highs have a beautiful lace top with two silicone bands to ensure these stay-up. Beautiful Italian lace top compliments our ultra sheer Nylon/Lycra thigh high. Penelope Lace top thigh highs are 20 denier slightly stretchy Nylon that will cling to your legs perfectly without bagging. Aria matching garter belt and thigh highs are a one piece suspender hose. Garter belt has four straps which are sewn directly to triple band thigh highs. This all-in-one item is perfect if you want to wear thigh highs without the typically silicone bands on the inside welts.